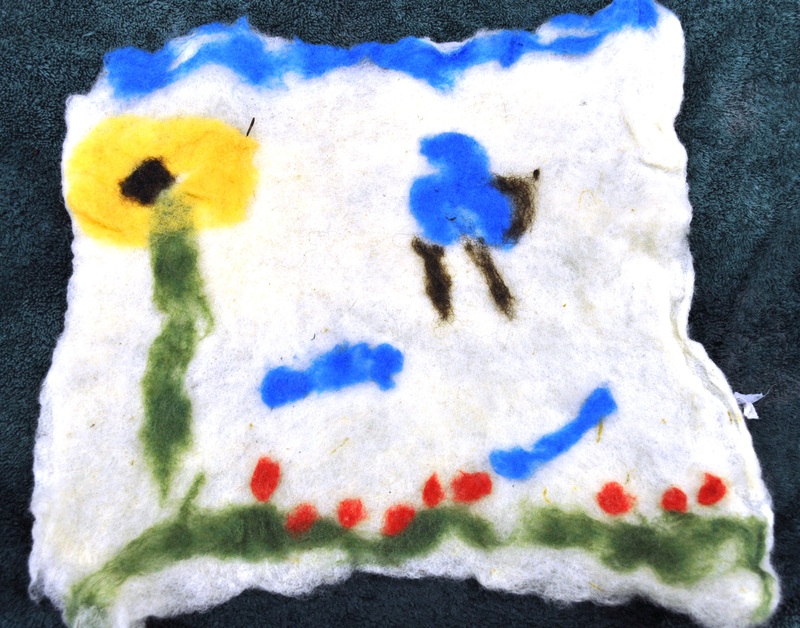 Second graders at Methow Valley Elementary School combined fiber arts with their garden experience in a felted wool residency. 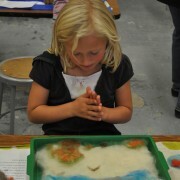 This is an excellent example of true integration of various subjects- writing, reading, science and art. Every student is successful with this project. 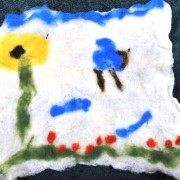 Working with Brooke Lucy, students explored the process of wet felting. 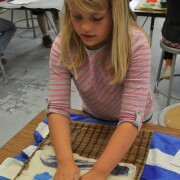 First, students spent time in the school garden, Classroom in Bloom, observing and reflecting on the colors, sounds, sights, and textures of their surroundings. Next, they wrote poems describing their observations, using the notes they made while spending time quietly reflecting and observing in different areas of the garden. And some just have yellow on the gourd. I hear loud birds chirping and green crickets. And I hear a big jet in the garden. I had a sorrel leaf. 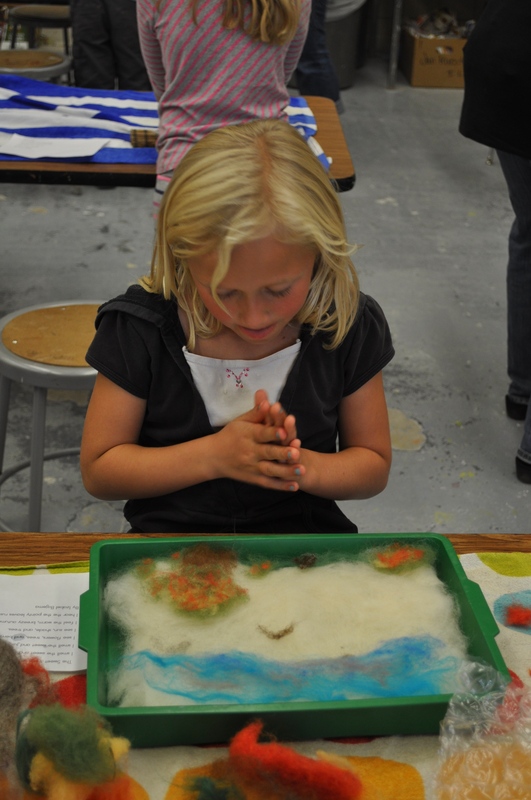 Finally, they experimented with color combinations using different dyed felts and created scenes that reflected their garden experiences. 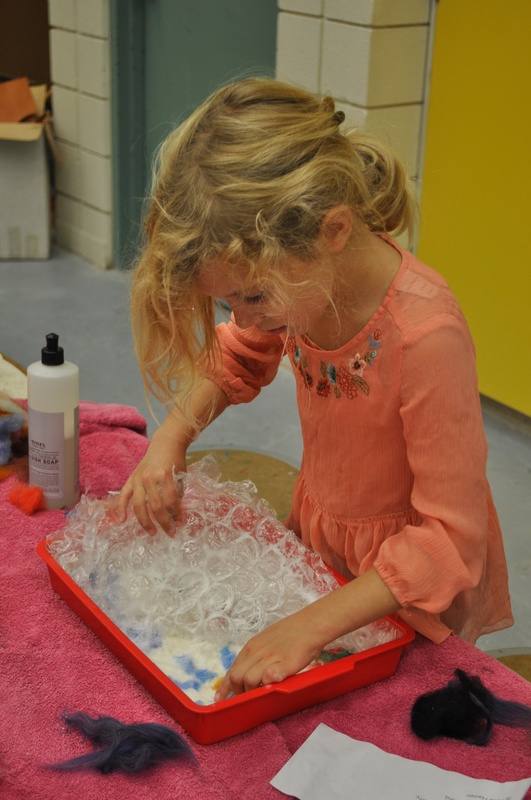 When the students had their colored wool placed on the white wool backgrounds, they then learned to felt using soap, hot water, and bubble wrap. 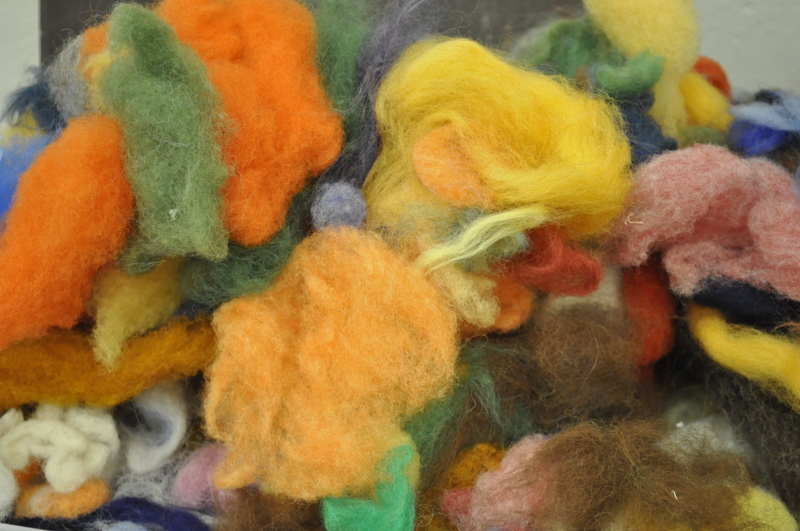 They agitated their woolen scenes until the barbs in the wool hooked together and joined the colored wool to the white wool. 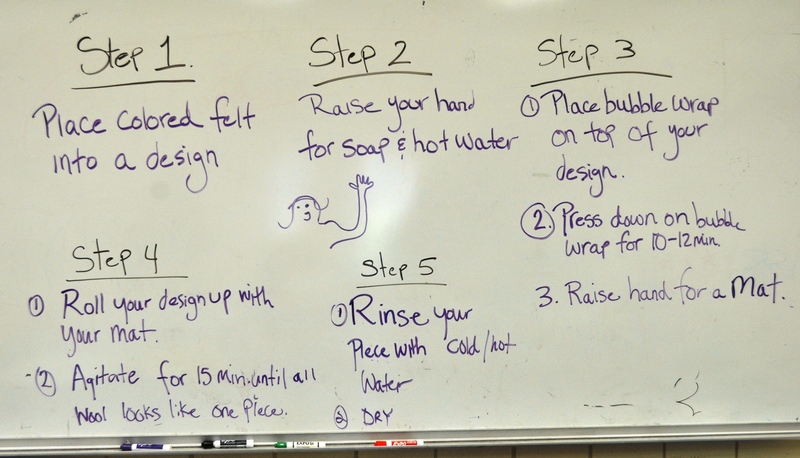 A rinse and squeeze got the soap and water out, then the pieces were ironed by a volunteer mom. 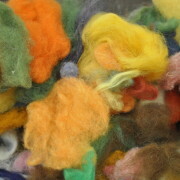 The pieces were then left to dry overnight before being strung onto apple twigs. 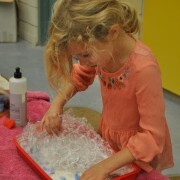 The completed pieces are on display in the Methow Valley Elementary School first-second grade commons, near the classrooms. 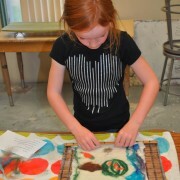 This art residency was brought to students by Methow Arts’ Okanogan Region Arts Education Partnership. 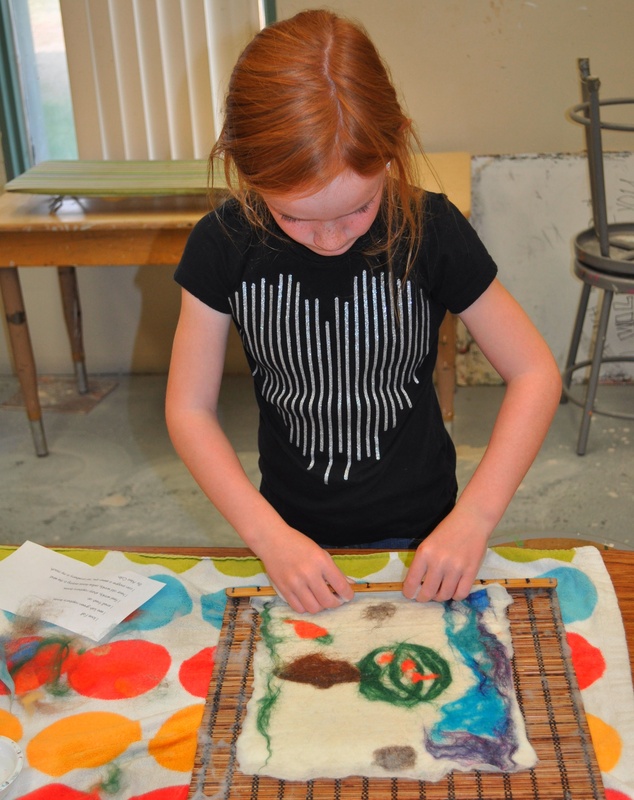 The partnership serves more than 5,200 students and 370 teachers across Okanogan County with arts programs in classrooms in the Omak, Okanogan, Brewster, Bridgeport, Pateros, and Methow School Districts, and in the Paschal Sherman Indian School. 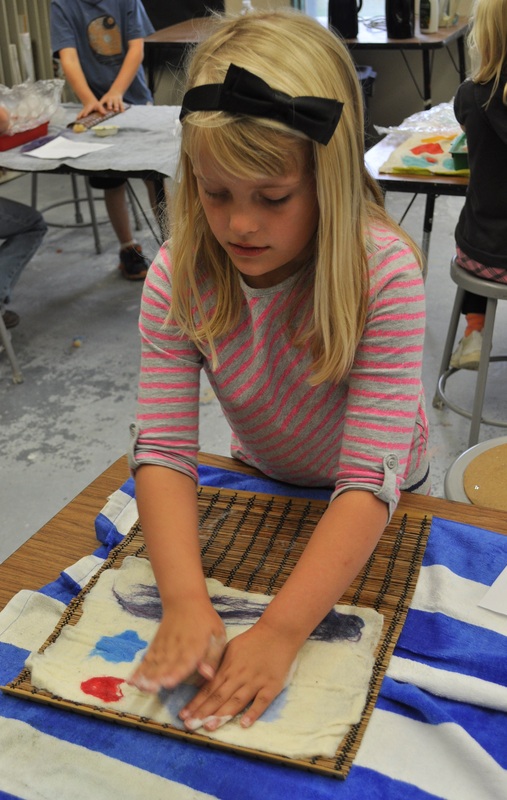 Project sponsors include the Public School Funding Alliance, the Methow Valley Fund of the Community Foundation of North Central Washington, the Methow Valley School District, the National Endowment for the Arts, and ArtsWA.